Here in the hot Southern California sun, maintaining your lawn can be a challenge—and your lawn is only as good as your irrigation system. 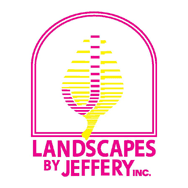 Here at Landscapes by Jeffery, we are irrigation experts with years of experience. We can install an irrigation system that will keep your lawn looking lush and green all year-round. If you want to have a lawn that is the envy of your neighbors, give us a call for a consultation. Every yard is different and, as a result, every yard needs a different irrigation system. We at Landscapes by Jeffery specialize in developing custom irrigation systems that are perfectly suited to our customers’ needs. We will take into account every possible factor—for example, the type of lawn you have and its shape. Our in-depth analysis of your property allows us to create the perfect irrigation system, which will keep your lawn looking green for years to come. Because your irrigation system is out of your sight, it can often slip out of your mind. Your irrigation system requires regular maintenance in order to keep it running smoothly and at peak levels of efficiency. Not only can we install a fantastic new irrigation system, but we can also evaluate your existing one and ensure it is operating at peak performance and that there are no problems with it. If your irrigation system breaks down, your lawn can quickly start to die in the warm California sun, which can give you a poor-looking lawn while the grass grows back. Avoid having to deal with this and regularly have your irrigation system inspected. Irrigation systems are highly complex pieces of equipment; when they break down, it can be challenging to pinpoint exactly what the issue is in order to fix it. 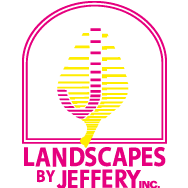 Thankfully, Landscapes by Jeffery is here to help. We have expert knowledge regarding irrigation systems and can discover what the issue is, and then provide you with a rapid solution. We appreciate that time is of the essence with irrigation system repair; failure to act quickly enough means that your lawn will start to die due to lack of water or overwatering. Here at Landscapes by Jeffery, we aim to rectify the problem as soon as possible. In some cases, it may be necessary to replace your broken irrigation system with a new one. We will only propose this when it is legitimately necessary. 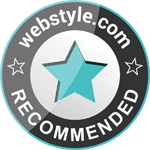 We rely on recommendations from satisfied customers for a lot of our business; therefore, we are not interested in making a profit in the short-term by suggesting unnecessary products or services. If you need assistance with your irrigation system, please feel free to give us a call. Our skilled team members are ready to help you in any way they can. Have your irrigation system repaired today!